Tuesday, 28th of May 2019 from 10:00 a.m. – 5.30 p.m.
Would you like to make a contribution? Click here! We invite researchers to contribute actively in course of SMARTER LIVES event and to publish their contribution in the conference proceedings. Would you like to be exhibitor? Click here! SMARTER LIVES targets to service provider addressing challenges of an ageing society and target the needs of the health and care sector. The AAL practice forum SMARTER LIVES is an event, which targets on the challenges of demographic change within the health and social sector as well as society as a whole. SMARTER LIVES was organized for the first time in June 2015 in Innsbruck. This was the foundation for a contribution to the networking of local, national and international Stakeholders in the context of Care and modern assistive technologies. Since this starting point, the event is organized once a year. In 2017, the concept was realized outside of Austria for the first time: In the course of the international research project gAALaxy, SMARTER LIVES 2017 was held in Bolzano at the location of Eurac Research. A retrospect on the past events you can find here. There is a need to show potentials and chances instead of pointing out challenges of an ageing and long living society and to adjust to the changing needs of the diverse affected stakeholders. Therefore, all elements of a society, such as research, industry, responsible institutions and politics have to participate in the required process of creation and action. Inside of a society which is influenced by hightech and services, modern information and communication technologies (ICT) provide a promising approach to answer big questions of social and political dimension. From an economic point of view, the new generation of ICT-based assistive technologies, such as Active and Assisted Living (AAL) can be characterized as key technologies which show opportunities for end-users and create new markets. It is the aim of SMARTER LIVES to raise awareness on this problem solving approach of Active and Assisted Living (AAL). Therefore, SMARTER LIVES offers a space where relevant actors are involved and work together, to design and to critically reflect potential solutions. Solutions providers can present their technologies to a broad public audience. The topic “Active and Assisted Ageing” is presented and discussed from a societal, political, economical and scientific perspective. In which target group dop you find yourself? You are offering AAL-solutions for end-Isers? The exhibition spaces at the SMARTER LIVES offer you the possibility to present your technologies to end-user groups as well as to the specific audience of researchers. Also during the practice forum you can gain valuable knowledge for the further development of your products. You are searching for different AAL-solutions? At the SMARTER LIVES – exhibition space you can meet different solution providers of AAL technologies and you can inform yourself “hands-on” about possible use scenarios. In the practice forum you can learn new approaches on the topic of demographic change and AAL. 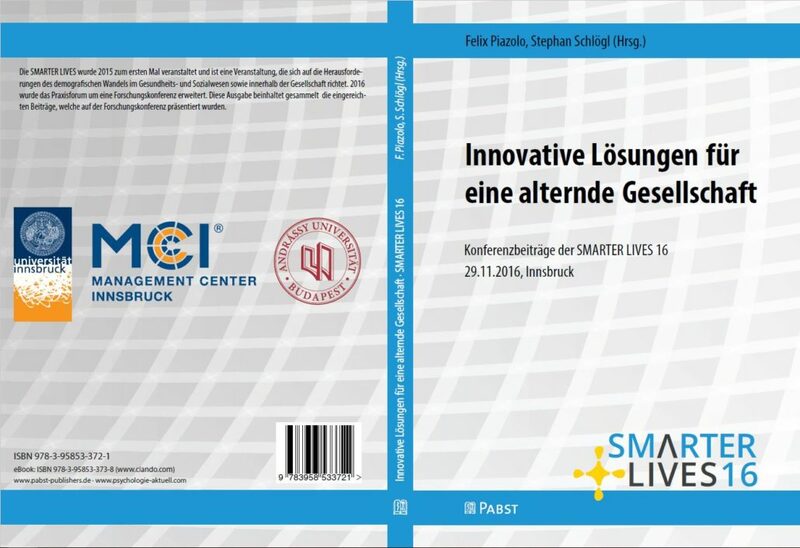 Post Proceedings of SMARTER LIVES 2016 and 2018 are available. If you are interested, please contact us!